In my January 16th, A.D. 2012, article, “Invading Iran (Rounding Up the Usual Suspects),” I reported on Iran’s recent decision to sell crude oil to India for gold rather than fiat dollars or even fiat rupees. I explained my belief that the U.S., EU, NATO, the central bankers, and the New World Order would be thereby compelled to invade and destroy Iran. By moving away from all fiat currencies, Iran was implicitly returning the world towards a gold standard. By doing so, the Iranians had struck a potentially mortal blow against all big governments, all central bankers, and the New World Order—all of which are ultimately built on fiat currencies. I predicted that the “forces of fiat” would be compelled to invade and destroy Iran as an act of self-preservation. Until that time, the primary pretext for invading Iran was Iran’s nuclear weapons program. We had to invade to prevent Iran from getting “the bomb”. The actual reason for invading was probably to seize control of some Iranian oil wells. In other words, our government’s primary reason for invading Iran was looting–to steal Iranian oil. Looting is a time-honored reason for invading a foreign country. Armies have marched since time began in order to loot weaker nations and steal their wealth. Looting is one of the “fun” reasons to invade a foreign country. But it’s not a compelling reason. Sure, we’d like to rob Iran, and if we get the chance, we will–but we are not compelled to invade Iran simply to steal their crude oil. Last August, John Bush–a political activist at Austin, Texas–was ejected from an Austin City Council meeting and banned from returning for one year. Reason? The Austin City Council didn’t like what he had to say. Recently, the City Council terminated their ban and allowed Mr. Bush to again speak at that public forum. Here’s his return speech. Note that while Mr. Bush brought some notes with him, he speaks primarily from his heart and mind. By speaking, he’s having far more effect than if he were shooting or bombing. Judging from this video, Mr. Bush may soon be elected as a member of the City Council that previously banned him, or even as congressman. This guy’s good. If we can find a few more like Mr. Bush, we just might save this country from the fascists. The CIA publishes it’s “World Factbook” at https://www.cia.gov/library/publications/the-world-factbook/. This Factbook lists every nation on earth and provides a modest description of each nation’s history, demographics, natural resources, industrial capacity and income. The Factbook is a particularly interesting document because it sometimes seems to tell the truth. For example, if you visit the CIA World Factbook website, and enter “United States” into the search engine, you’ll see a description of a nation called “United States”. 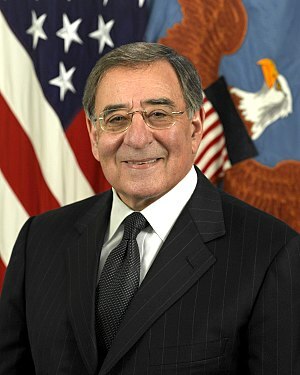 This description includes a map at https://www.cia.gov/library/publications/the-world-factbook/geos/us.html. This map is interesting because, while it includes the location of some major cities and rivers, it does not include any reference to the States of the Union. Admittedly, the map is small. Including the borders of each of the States of the Union might make the map extremely difficult to read. On the other hand, the “Factbook” is published on the internet and there’s no apparent size limit sufficient to prevent the CIA from providing a map of the “United States” that’s large enough to identify all of the States of the Union–or even all the counties, if they cared to do so. Therefore, some people believe that the “United States” being described by the CIA map is not merely an oversimplification. Instead, they believe the CIA map is accurate and doesn’t describe any States of the Union because there are none in that particular “United States”. Instead, we see a properly drawn map that corresponds to the singular territory that is sometimes described as “this state”. I wrote the following article last week for the International Forecaster. In broad strokes this article attempts to illustrate that by changing the monetary system from fiat to gold-based, you completely change the political and economic environment. There is little that is finally more revolutionary than a fundamental change in one’s monetary system. 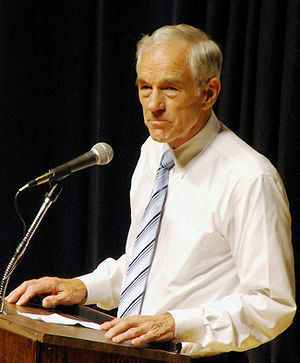 Ron Paul is attempting to change our monetary system from fiat dollars to gold-based. His candidacy is revolutionary. After this article was written, reports came in that Iran was selling it’s crude oil for gold. (See, Iran Sells Crude Oil for GOLD“). The sale of Iranian crude for gold parallels Ron Paul’s attempts to restore a gold-based dollar. Both efforts signal an attack on the fiat dollar, fiat currencies in general, the central banks and the New World Order. In the Ron Paul campaign and the Iranian sale of crude for gold, we may be witnessing evidence of an “idea whose time has come”: the restoration of a gold-based monetary system. If so, monetary events may start to unfold very rapidly. On January 24th, I published “Iran to Sell Crude Oil for GOLD“. I described the story as potentially the most important of the year and, if true, likely to precipitate an attack or invasion of Iran. But I also admitted that the report was based on a single source (DEBKAfile) and though it seemed credible, might be mistaken. The sale of crude oil for gold is not an absolute guarantee that Iran will be attacked or invaded, but it’s pretty close. The world is shaking, right now. The world is being changed by the sale of crude for gold. If this sale is allowed to stand, the U.S. dollar will die, and the New World Order will expire. The world is at war. The Constitution of the United States requires all candidates for President to be “natural born citizens”. 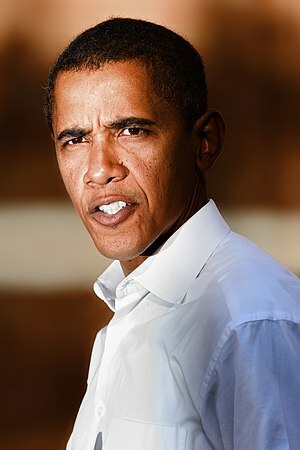 There is enormous doubt and controversy as to whether Barack Obama meets that definition. The following video reports that prior to Obama’s election, there were at least eight attempts in Congress to pass laws and/or constitutional amendments that would change the definition of “natural born citizen” (as found in the Constitution) to allow persons not born in this country to become President. The video implies that these attempts to alter the definition of “natural born citizen” were part of a conspiracy specifically tailored to allow Obama to be elected. I’m not convinced that all eight (or perhaps any) of those congressional attempts to redefine “natural born citizen” were part of a conspiracy to elect Obama–even before he was known or nominated. It seems more likely that some congressmen believe that eligibility to become President should be extended to those immigrants who entered this country as children and grew up as “Americans”. Alternatively, by seeming to try to make young immigrants eligible to become President, those Congressmen might simply be pandering for the support and votes of immigrants.